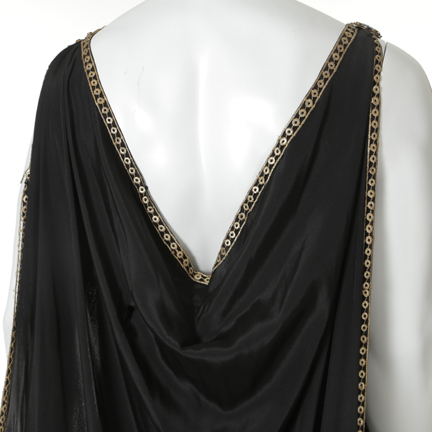 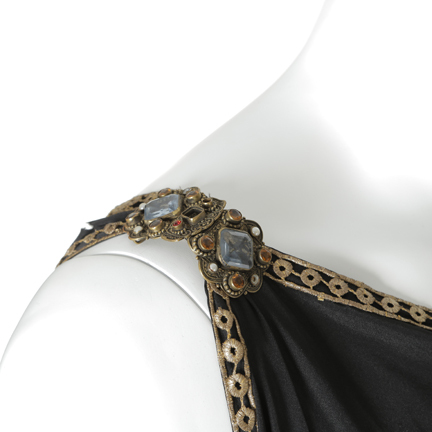 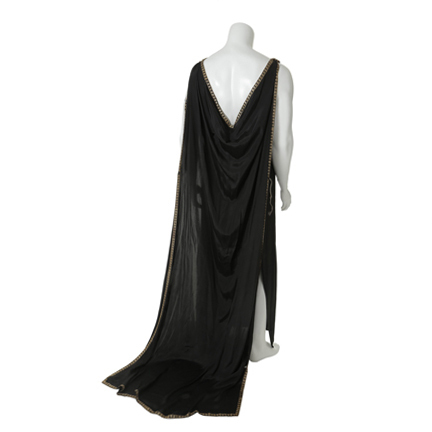 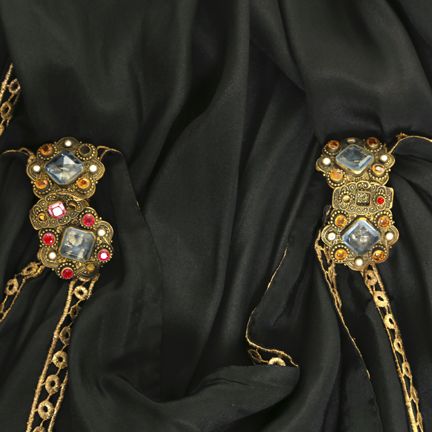 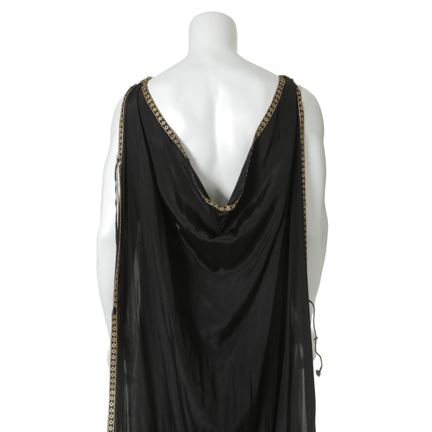 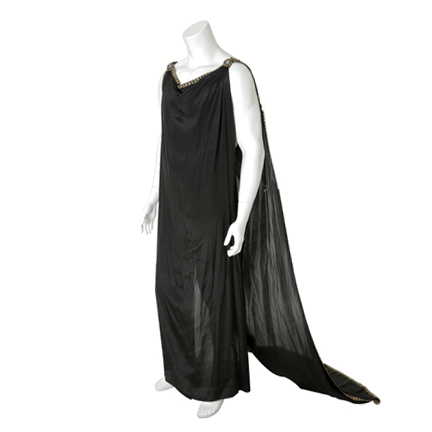 This vintage Paramount Studio biblical or Grecian style robe is constructed our of black silk material with gold braided trim, and gorgeous brass clasps with multi faceted stone details at the shoulders. 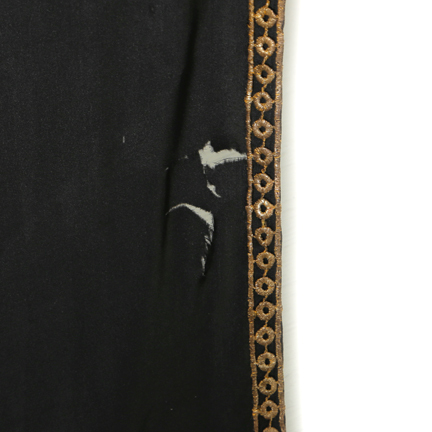 Slight tearing of the fabric along the lower portion the of the robe. 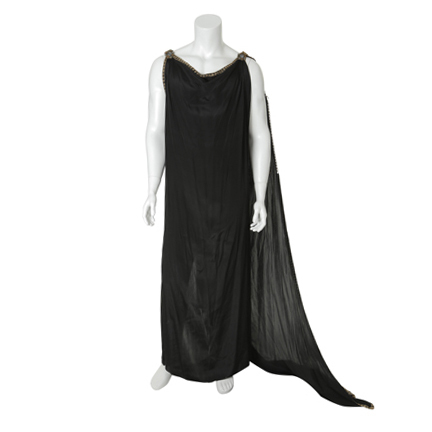 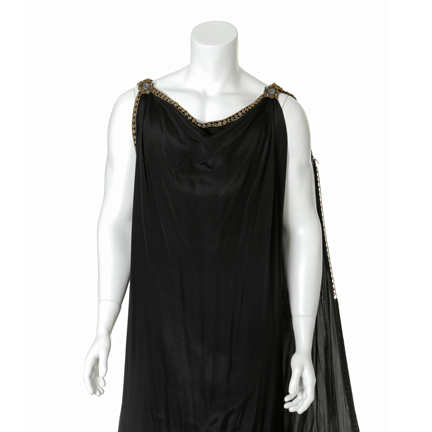 This garment was costume made for an unidentified production and was acquired direct from Paramount Studios. 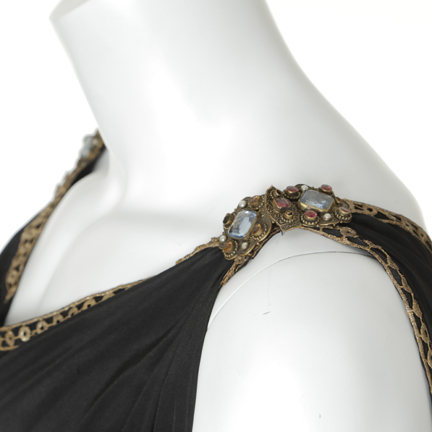 This garment is in excellent vintage condition, and is accompanied by a letter of authenticity from the costume house.